Franklin oliverre dies of stroke. Ace tenor pannist and former manager of the Phase II Pan Groove Steel Orchestra and the National Steel Orchestra, Franklyn Ollivierre, on Wednesday succumbed to complications resulting from a stroke. Ollivierre was a founding member of Phase II alongside Len "Boogsie" Sharpe whom he considered a mentor. Ollivierre himself mentored many young people who passed through the band as well as youth from Laventille where Ollivierre grew up and Diamond Vale where he was living at the time of his death. The pannist was in 2010 presented with an award by Pan Trinbago for being the longest serving player in the National Panorama Championships. A multifaceted individual, Ollivierre during his lifetime played with the Highlanders Steel Orchestra and worked in the Government Services at the Ministry of Culture and Ministry of Works. Members of Phase II and of the steelpan fraternity as a whole were devastated as news of Ollivierre's death got out. It is reported that Sharpe is especially grief-stricken. Comments were posted in quick succession on the band's Facebook page. Franklin was an ex malvern stalwart and played for them for many yrs during the seventies and early eighties. those who knew him well may not agree with me, but he was ah good man, a good footballer and had a good heart. was an inspiration for most yutes in my old neighborhood, and he loved his country , the football and the culture, especially pan. he did loads for pan. matter of fact, he was the man who got neal and massy involded in the production of pan, we lost a great cultural icon folks. Re: Franklin oliverre dies of stroke. This is real sad news for me,more so that i knew Franklyn personally,we developed a relationship through Football with the rivalries DF used to have with Malvern etc etc he became closer to my family when he and my brother worked at Neal and Massy,they both left at the same time and he helped my brother get Pan Land started in Laventille manufactureing Pan for export,i have not heard much of him since after that until now. I must say a good brother,a fine Footballer,he will surely be missed,sad to hear this,my condolences to the family.RIP Breds. Mods this belong in the football section, after all, the man was the captain of malvern. I see sir bobby robson died and got more condolences. this man may not have been maradona or romario, but he was surely a talented local footballer and played along some of the countries greats, yet ppl fail to acknowledge him. i should have known better since most of yuhs were born in the seventies and eighties, so allyuh never got an opportunity to watch the great battles of those day with malvern, colts, alcons etc. this man was in the same league with greats like potty lewis, rolf bartilo, alvin corneal and russell tixera, men who lived for football, but i should have known better, after all, the bredder name wasn't calling like, leonson, dwight and russell. I knew him as a Malvern Gem. Great in giving advise to young ballers. A great servant to the Glamour Boys. Ah doh really remember him personally but I'm sure he was in the Malvern squad that used to draw a big crowd when they came down Point to play Civic. Good football back then. RIP brother!! Guys, I used to go and hang out in Gloster Lodge rd in Belmont by a QRC buddiy of mine and Franklin used to live in a house in an alley way off the rd. We used to hear him practicing on his tenor pan. I think he was with Starlift at that time. Before Phase2, them was the hip, glamour band from POS. I remember him as a cool, handsome and muscular fella. Easy to talk with. I saw him play for Malvern and was a solid player. Kinda like a work-horse if you may. He played with Buggy, Might Trini, Rick Yallery-Arthur, Sherman Greene, Steve Yearwood, Danny Muller, PeterO'Connor,etc. One time I saw one hilarious moment with him playing for Malvern in the savannah. Malvern senior(B) team was playing some team, can't remember. But Franklin and team attacking. Franklin took a shot maybe about 15/20 yards out and half way towards the net, the ref blow the final whistle. Suffice to say, the ball ended up in the net. Hilarious pandimonium and bachanal ensued. Both side arguing with the ref. Fans dieing with laughtter. I don't know if the ref awarded the goal or not. Malvern was winning anyhow. That is what stayed in my mind about Franklin. RIP, Cool Man. That alley was called lovers lane, the front of the house was actually on glosterlodge rd, but the alley/ lovers lane was small and only two houses could fit in that small space, franklin's house to the back almost picked up the whole of lovers lane. i lived in the back street (argyle st) for a while, not too far from franklin, i remember playing football in the road a few times in the late seventies with those guys from gloster lodge rd, but i'm really from oxford st.
i used to hear him practicing on the tennor pan all the time, he was real real real fackin cool, he also used to race pigeons as a hobby. the man was ah real live wire. 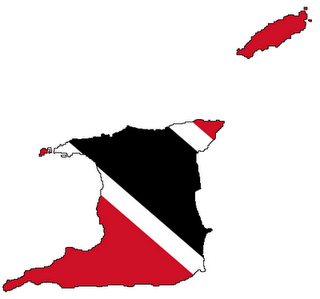 those were the good ole days, i doubt trinidad would ever be that sweet, friendly and exciting again. every thing was larger than life back then, sports , parties, carnival, just ah big fackin blast. i kinda feel sorry for the fellas under 40 who never got to experience this. deeks, i don't remember a QRC man in your age group back then on gloster lodge rd. I used to live in The Crescent over on Quarry st side. I lived 3 houses down where THe Crescent and Prescott meet Quarry st. I used to walk over them lil streets over to Oxford, Gloster Lodge, McShine Terrace, etc. I did not play much street football. I was more in the savannah and was very occupied with school when not in the savannah playing pick up games or watching football, cricket or horse racing. On the top of Oxford street that over the city, some guys my age had a basketball backboard and use to play night and. Radio KCG Anderson, Brian "Bird Bird" Brown, the Beard bros, Kelly Rasumir, Nandy Gabriel, Kenneth Waldron used to play up dey. I remember some of the bigger guys from Oxford street. I remember the Quashie brothers. Stanley was an excellent sportsman. Played basketball for Fire services and TT. Also played football for Fire. He was a tough defender. I think he was on the verge of the national football team, but he would have had to beat out guys like Murren, Texeira, Denny, Rondon, Figaro, Moraldo at the era. The nice thing about that timewas, every event you would more or less see the same people. Football, cricket, Panorama, basketball, netball, hockey and rugby, people used to go and support. Sorry for my NOSTALGIC rambligs. But I can't help it. Deeks man, i hah tuh know you then, bc all dem men you call is ppl i know personally. right now nandy livin somewhere in brooklyn, and yeh, and the last time i was home i saw stanley cashie the fireman with the blueish grey eyes, he still big and strong like an ox, but i doubt them men does even play ball anymore. when i went home i hung out a couple of times with his brother micheal. wow, yuh know i thought for some reason you were from st joseph, small world isn't it. I knew Franklin more from Pan than from football although I was aware that he used to captain Malvern back in de day....when Malvern actually MATTERED. In recent years, he had illness &injury issues with his eye etc. A real dedicated pannist...a fella dat love his culture and his football. ONE of the things Wayne Ollivierra visioned the most was peace in the community where he lived. He was an active member of the Gonzales Village Council and always sought to develop new strategies that would encourage the youths in the area to steer clear from becoming involved in a life of crime. Yesterday that vision came to a sudden and tragic end, when Ollivierra himself fell victim to murderers—he was shot more than 20 times as he stood outside his home at the corner of Gloster Lodge Road and Lovers Lane in Gonzales. Crime scene investigators spent close to five hours on the scene, collecting a total of 30 bullet shells which were found scattered along the roadway. Around 10.30 a.m., Ollivierra, 40, was standing outside his home, when three men approached and began shooting. He was shot multiple times, including in the head and neck, before he collapsed in a drain and died. Before escaping through a track in the area, his killers took his wallet and gold chain, investigators said. But despite their escape, police said they were confident arrests would be made soon, as there were CCTV cameras in the area which may have captured footage of the murder. Officers said Ollivierra was not known to be involved in any criminal activities, but they believed his death may be linked to the shooting of a man and a teenager at The Harpe on Saturday night, not far from where Ollivierra lived. Police said at around 8 p.m. on Saturday, Aaron Phillip, 16, of Hermitage Road, Belmont, and Rashide Wilson, 29, who lived at The Harpe, were standing outside Wilson's home, when a white car with three occupants pulled up and began shooting. Phillip was shot in the neck, while Wilson was hit in the back. They were both rushed to the Port of Spain General Hospital, where they remained warded in a stable condition up to yesterday evening police said. Speaking to the Express at her home yesterday, Ollivierra's mother, Hyacinth Ollivierra, said she did not have the words to describe her emotions. The woman said she was at church with her three grandchildren when she was made aware by her sister that Ollivierra had been killed. "There are no words to describe this. This is just so painful. You know, Wayne was always looking for peace in the community. "He was always coming up with some type of idea to fight crime in the community, and look at what has taken place now. "He was very active in the community and I would like to know why he was killed. I now know how all of these other parents felt when their children were killed. It has reached home... Why are our children killing out each other? All I can say is let there be peace. God help us, please," she said. Ollivierra's killing has taken the country's murder toll for the year so far to 224, according to an Express tally. Investigations are ongoing. Condolences to the Olliviera family once more. Cool, this is MADNESS, man. GOD plz, don't just there put and hand on we black hen chickens, nah man. Please.